The Chief Quality Control & Assurance Officer (CQC & AO), plans, organizes, directs, coordinates and controls the overall Quality Control and Assurance activities of the company. Initiates and fosters sound strategies, policies and procedures to enhance the quality control and assurance activities of the company. As the company’s senior management, the CQC & AO is accountable for the overall quality issues of the group companies. BSC Degree in Chemistry, Biology or other related fields from recognized university. MSC Degree is in the above or related filed of studies highly preferred. A minimum of 15 years’ professional experience on Quality Management, control and assurance areas out of which Five years as Quality Control and Assurance Director or equivalent position at Food and Beverage Sector. 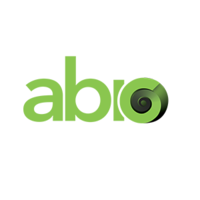 ABIG is an umbrella management company that has formed a unique team of experts managing a diverse investment portfolio across different industries. We bring together a group of highly seasoned experts with a wide range of proficiency and astute leadership in our chosen investments. We participate in different sectors such as Food & Beverage, Petrochemicals, Manufacturing, Import & Export, Engineering and Construction & Property Management. Our team’s competency lies in this eclectic collection of expertise targeted to bring unique local insights and specialties in Business Development, Manufacturing, Information Technology and Health Care.